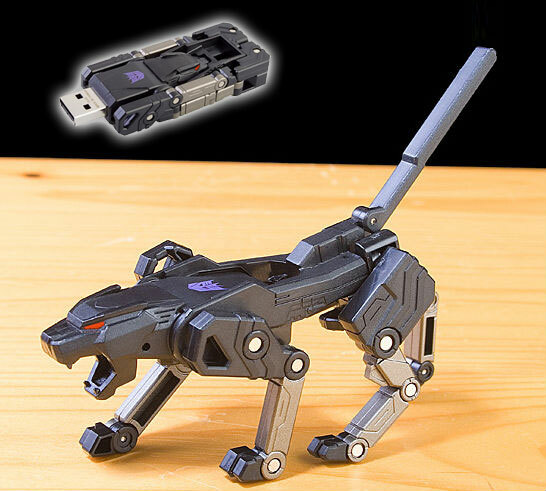 The transformer flash drive is a USB flash memory stick that transforms from a normal, nonchalant, average looking flash drive to an extreme killing cougar leopord type lion cat machine guy thing, that's extreme, and awesome to the max. 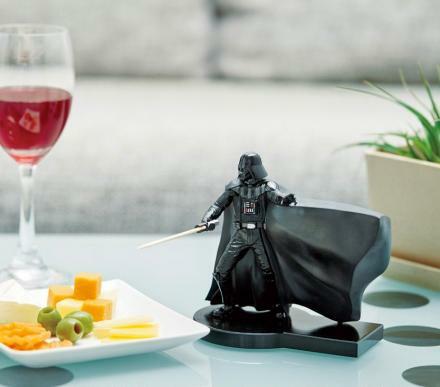 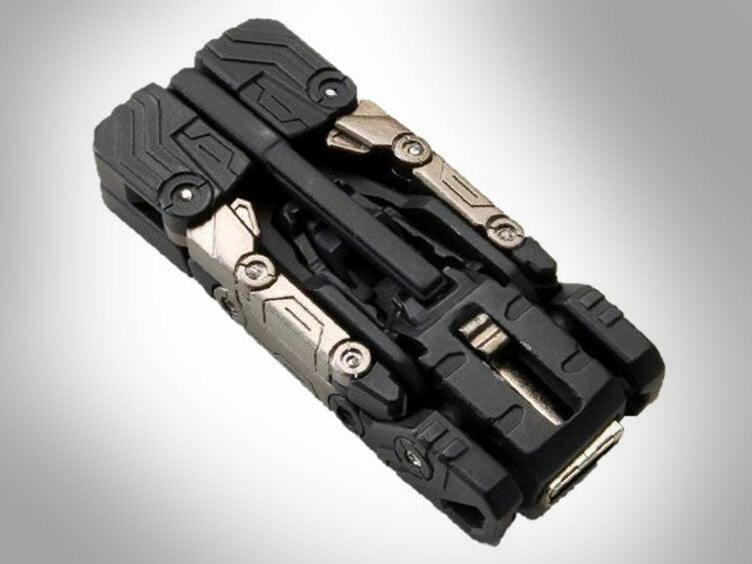 The transformer flash drive would be a perfect addition to your otherwise mundane, suicidal looking desk at your office. 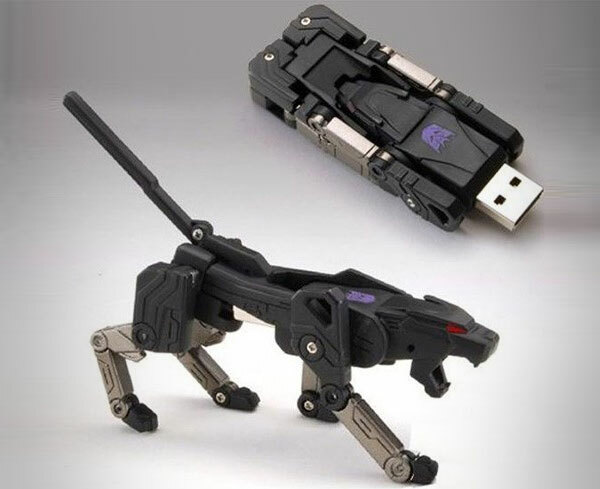 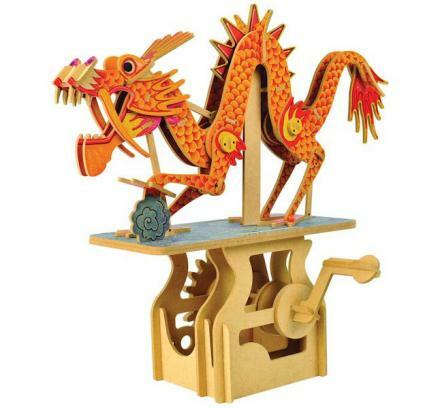 When you need to transfer some files to another computer, and you haven't heard of e-mail of Dropbox, transform your extreme cougar cat thing back into a flash drive, and transfer those files over. The Tranformer Flash Drive is 32GB in size, and is also available in 16GB and 8GB sizes, supports USB 2.0 and 1.1, and comes with a 1 year warranty.